It is very important to declare the correct value when creating your shipment on Easyship. Always input the true value of the item as the customs value. This value represents the transactional value of your items. Meaning that the amount your customer paid to receive the items. Your shipment may be held at customs and additional fees may be charged to your account. Note that underdeclaring the value of your shipment is strictly prohibited as per the terms and conditions of using Easyship. If customs are uncertain about the declared value of a shipment. The local customs officer will require a proof of purchase. This means a screenshot from a bank transfer, paypal or otherwise something proving the value of the product. Its important to note that if a shipment is being investigated by customs you need to provide the requested information within 7-14 days or the shipment will be abandoned or automatically returned. There are some countries that allow you to ship gifts and have a higher tax threshold. When shipping with Easyship, all shipments are declared to be commercial. 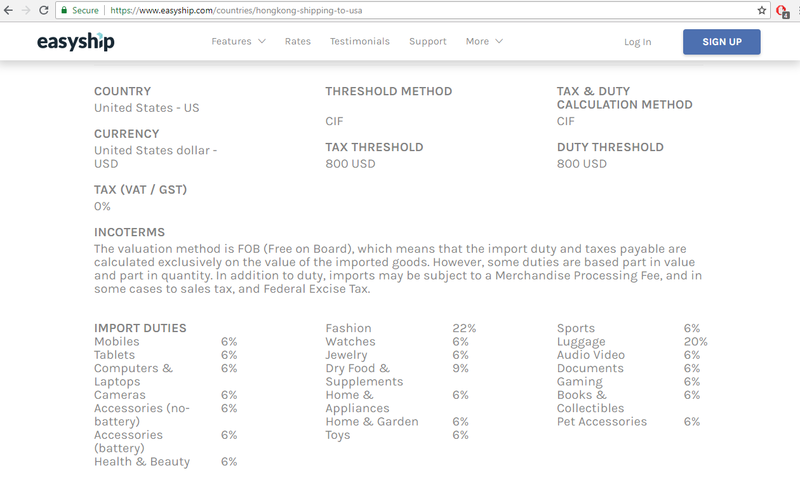 Therefore you are not able to declare a shipment as a gift if the value of the item is above the threshold for the destination country.